New Zealand is actually doing something about access to military-style weapons after 50 people were killed in a mass shooting that targeted two mosques in Christchurch. 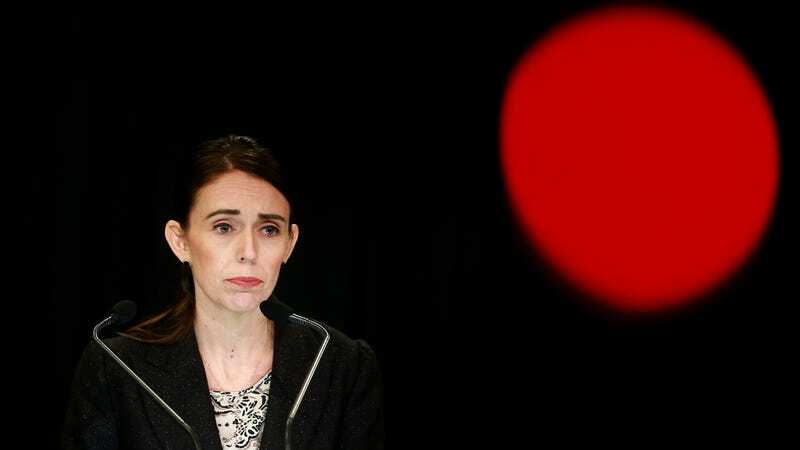 On Thursday, New Zealand Prime Minister Jacinda Ardern announced that the government will ban “military-style semi-automatic weapons and assault rifles.” Also banned: high capacity magazines and gun parts that can be converted into a semiautomatic weapon or can cause a gun to in any way mimic semi-automatic gunfire. “In short, every semi-automatic weapon used in the terrorist attack on Friday will be banned in this country,” Arden said. NPR reports that while Arden emphasized the importance that guns play for New Zealanders, especially rural communities that rely on them for pest control and recreation, she emphasized that gun ownership was a privilege, not a right. A suspected white supremacist has been charged with murders in Christchurch. Following the attack, Arden has also come out to strongly condemn racism and Islamophobia. Meanwhile, in the United States, President Trump is skeptical that white nationalism is even on the rise.